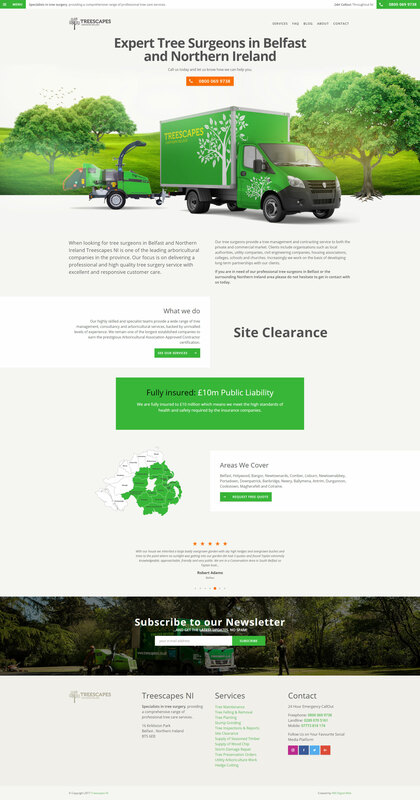 Our second website for Treescapes. This time, a fully custom, responsive WordPress website to maximise conversions from the traffic acquired from all of their number one search rankings within Google. The client gave us a lot of freedom to create a website that we thought would work for the company and reflect the business the best for the budget.